For most Belarussians to go to the cinema means more than just to watch the newest work by world class producers featuring Oskar nominee and awardee actors and enjoying visual effects. 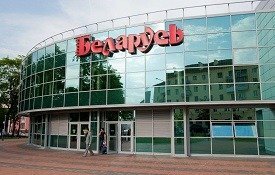 Cinemas in Belarus are the places where friends gather to spend the evening together, couples feel the magic of the darkness and families enjoy their weekends with children. 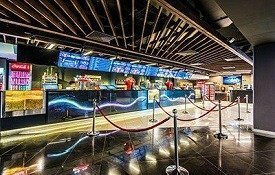 To watch a movie on a wide screen is not a luxury, it’s just a regular pastime out of the home which usually turns into a friendly chat in one of the cafes afterwards. 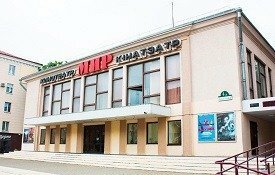 Cinemas in Minsk are the biggest and the most comfortable ones in the country. They are situated mainly at the city centre but there are some that are located on the outskirts. The latest trend of huge shopping malls is to accommodate a cinema on the top floor of the building and such confluence of the ways people can spend their time result in quite lucrative cooperation. During the daytime cinemas usually have discounts to attract those who study or work evening hours and in the evenings all the cinemas are full, especially from Friday to Sunday. 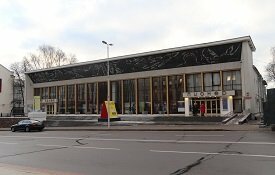 Cinemas in Minsk offer a great number of activities that can while away the time before the film such as air hockey, computer races or cafes. Popcorn, chips and cola are allowed during the movie showing but polite and trying not to disturb others Belarussians tend not to bring making external noise packages or leave litter after them. You can find what is on in the cinemas by searching on the Internet either the film you’d like to watch or the cinema you’d like to go to. The tickets can be bought online, in special electronic kiosks or at the ticket offices in the cinema. If you’ve bought a ticket online, you don’t need to print it out, just make sure that you have it on your mobile device. 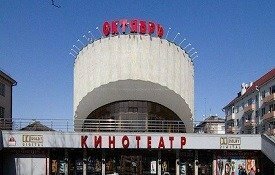 Cinemas in Minsk cover the interests of the public in films in the original and are usually shown with Russian subtitles. Thematic weeks are frequently organized by the embassies of foreign states in Belarus. During the show week people can watch films free of charge and get acquainted with the culture and traditions of the foreign country holding the event.